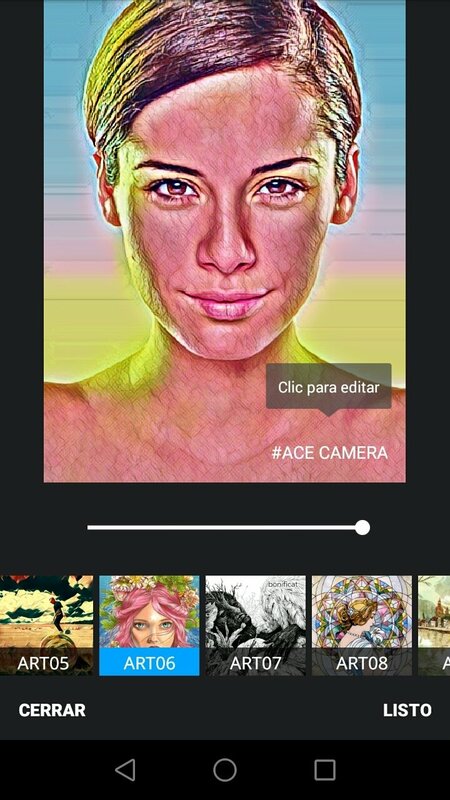 Nowadays, in the times of selfies and social networks, we all need an application to edit photos on our Android smartphone. 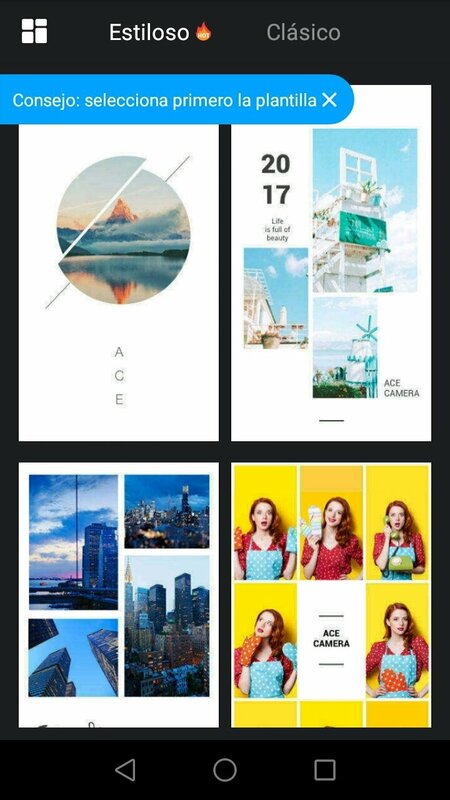 The issue is which to choose amongst the wide range of image editors available: PicsArt, B612, InShot, YouCam, Snapseed... The list is almost endless with apps for all tastes, so which one should we choose? Well, the best idea is to go for the most complete one of them all and that could well be this Ace Camera - Photo Editor, Collage Maker. 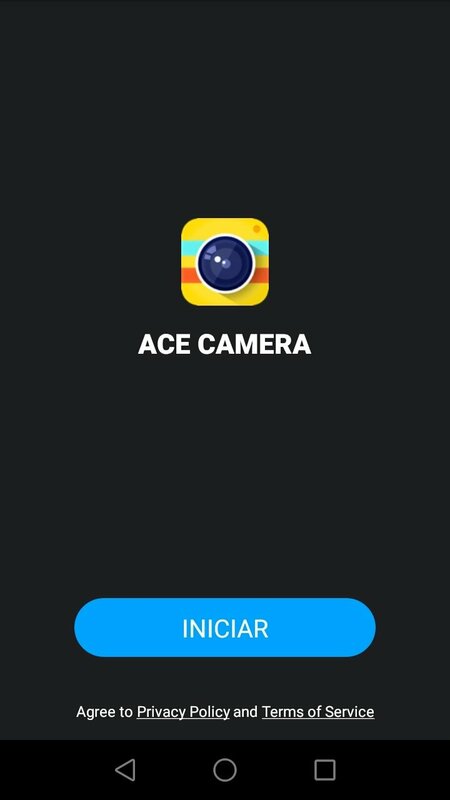 As you've probably gathered from its name, it's an application that works as a photo camera, an image editor, and a collage creator, all in one. 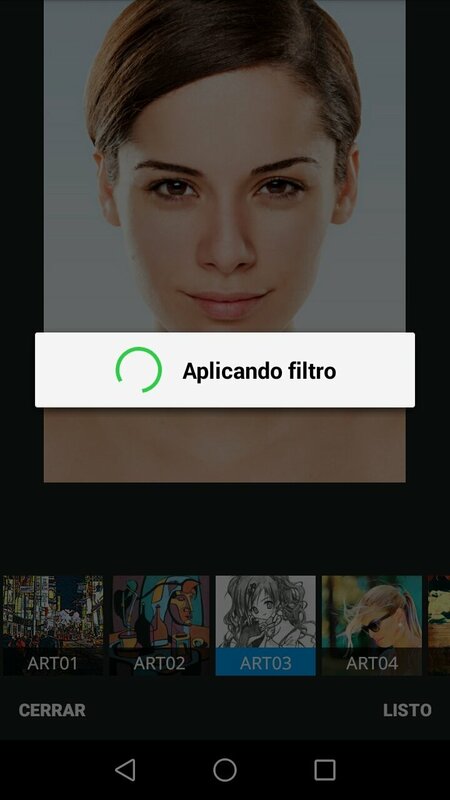 Therefore, once you've downloaded its APK to your mobile device, not only can you apply loads of effects and filters to the images saved in your gallery but you can also replace the native camera of your Android for the latter with many more functions as well as being able to apply filters in real time to the image before capturing it. All the latter, without forgetting about the possibility to create compositions, both classic and stylish, with several photos in one. 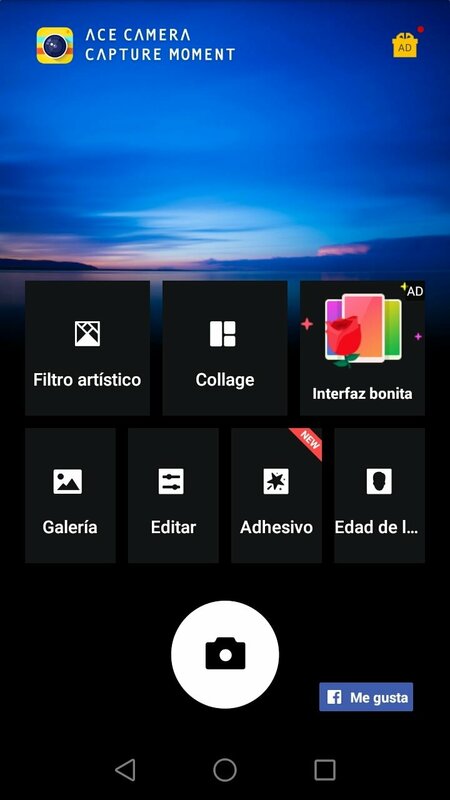 Powerful image editor with functions to crop, rotate, and flip any photo. Different settings to modify parameters such as the brightness, saturation, temperature, warmth, sharpness, and contrast of an image. 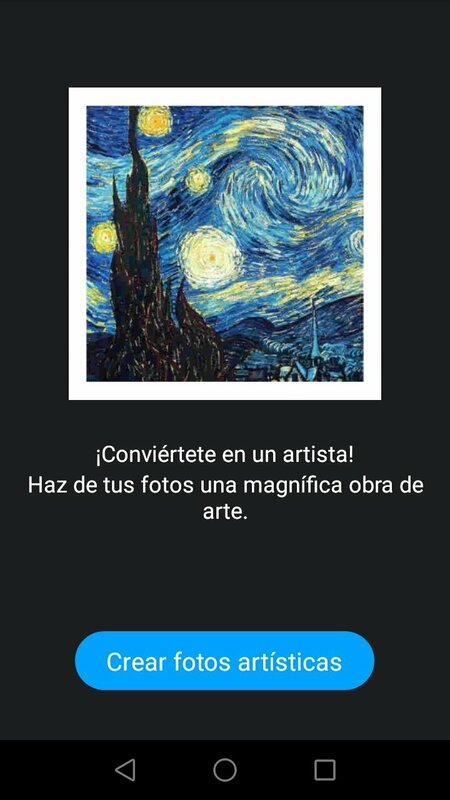 Possibility to apply filters, poster effects, and stickers to our photos. 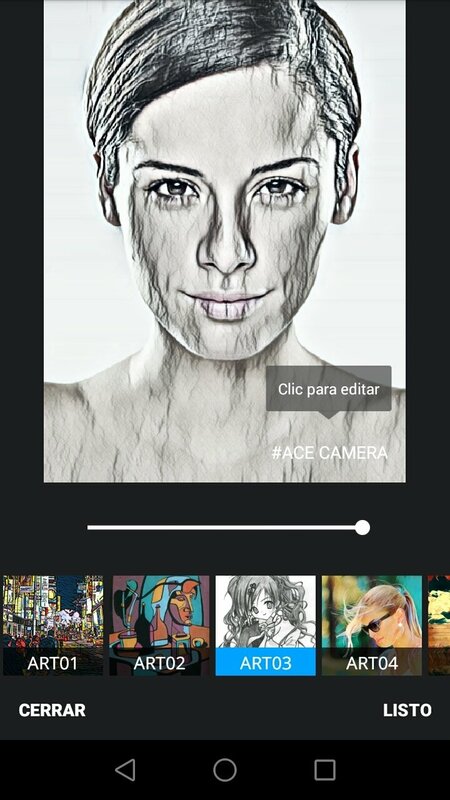 Long list of artistic filters to turn our photos into real pieces of art. 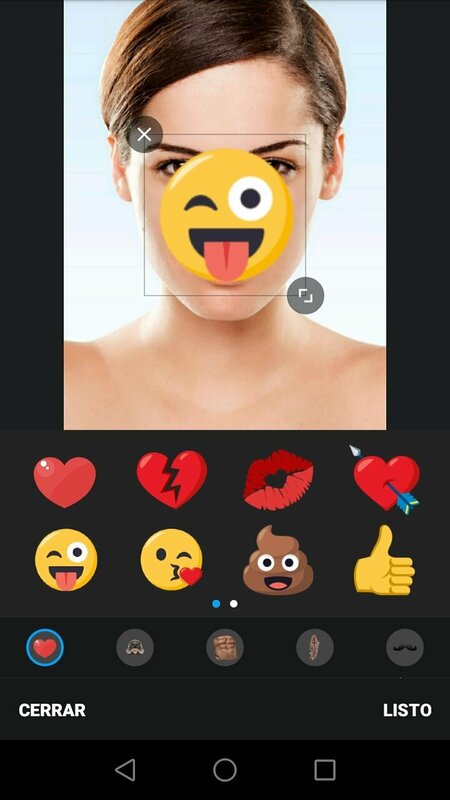 Very funny stickers to simulate tattoos, muscles, mustaches or to stick emojis to our photos. 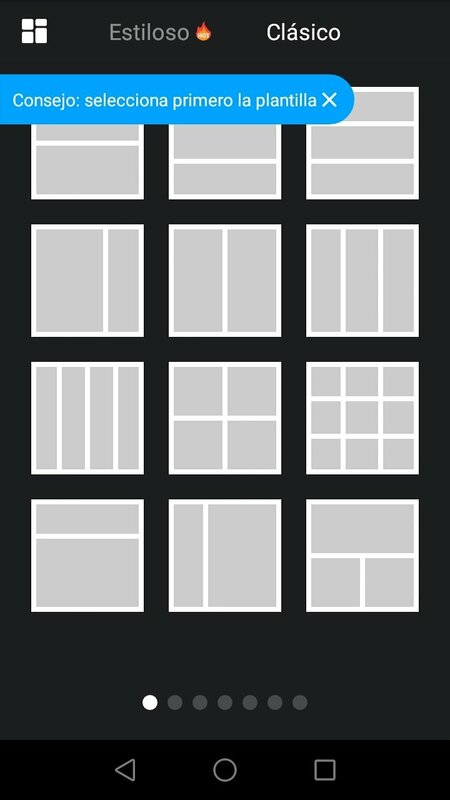 Collage creator with the possibility to use a classic or modern template. Camera function to apply real-time filters to our photos. Tool to calculate the age of the person that appears in the photo.